The last installment of the Harry Potter epic series, where Harry faces Voldemort in the final showdown. This is perhaps one of the most amazing, epic, and, well, amazing series that I have ever read. Apart from the action, it is filled with intrigue, facination, and thrills! It is sad that this series is over. Read this, and all your questions will be answered! Who will win? What are the Hallows? Why are they important? Where did they come from? Answers here! This latest installment of the Harry Potter series has elements which appear highly Christian, specifically the Deathly Hallows. They symbolize the Trinity (Elder Wand=Father/Aaron's Staff, Resurrection Stone=Jesus/Rock that the Church is built on, and lastly, the Invisibility Cloak symbolizes the Holy Spirit). Also, Harry dies and is resurrected as Jesus was in the Bible. 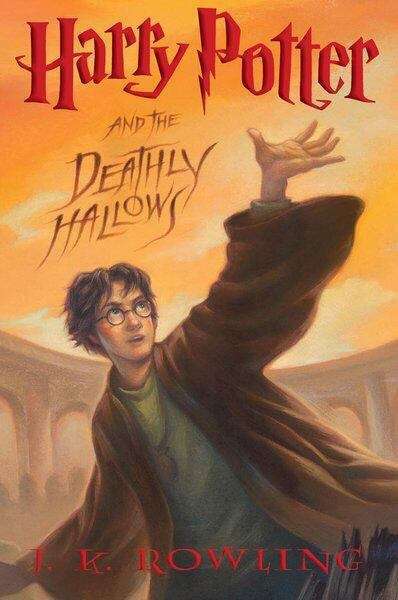 It's non-stop action in this final installment of the epic Harry Potter series. For the better part of the last decade, we've been waiting for what will finally happen. Now, in this last installment, find out exactly what happens to everyone, and about a dead someone's mysterious past. Also discover what the so-called "deathly hallows" are, and why they're so important. And the big question, the really really big question is, will Harry or Lord Voldemort win? Read and find out. Let the adventure begin!